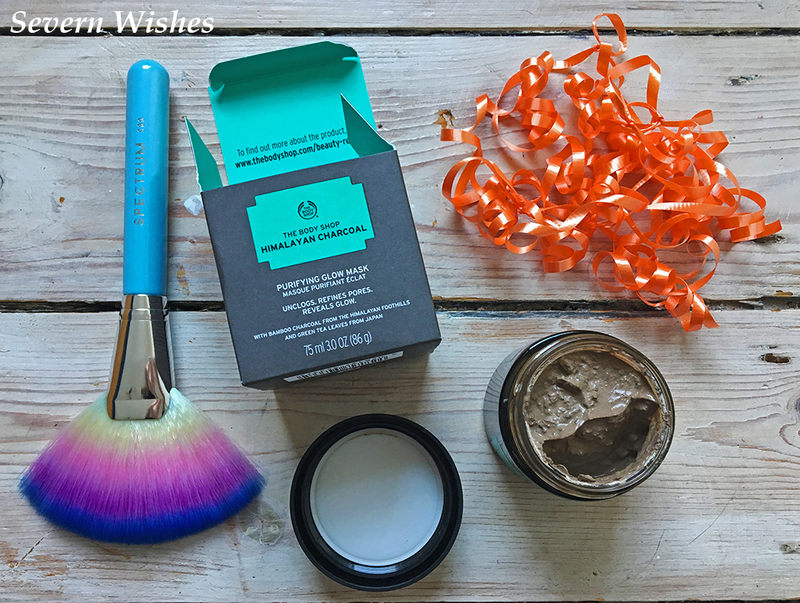 Time to talk about a very special brush created by a very special British company. 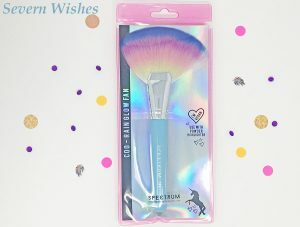 It is of course the Spectrum Collections C00 Rain Glow Fan Brush… and yes it has rather a long name! 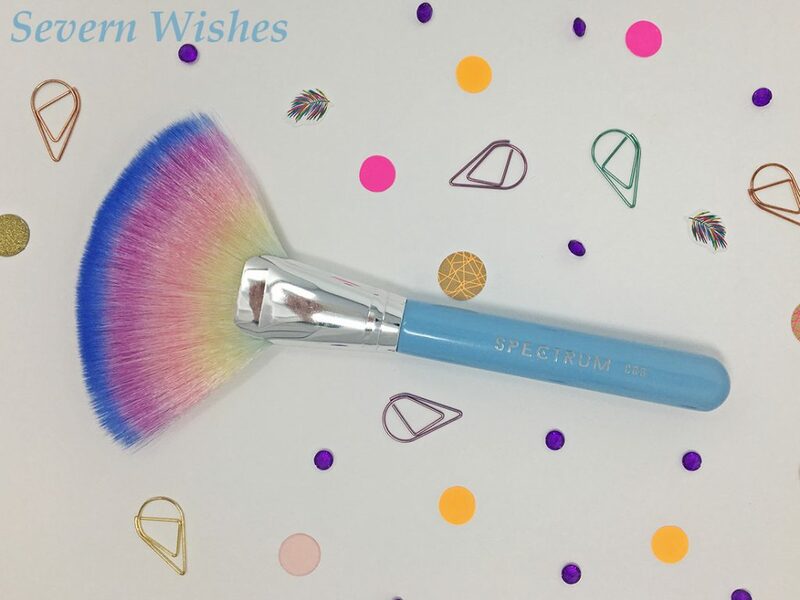 Spectrum Collections began with pink brushes, and it went from there, now the collection is incredible, with complex and thoughtful designs, not to mention beautiful. I purchased this particular brush in my local Boots store rather than from Spectrum online. It costs around £19.99. I will include purchasing links at the end of my post. 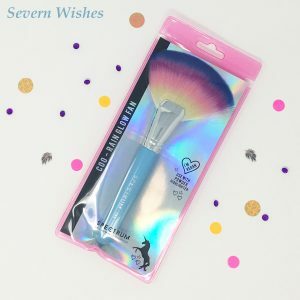 The brush is Vegan and made to be Cruelty Free. 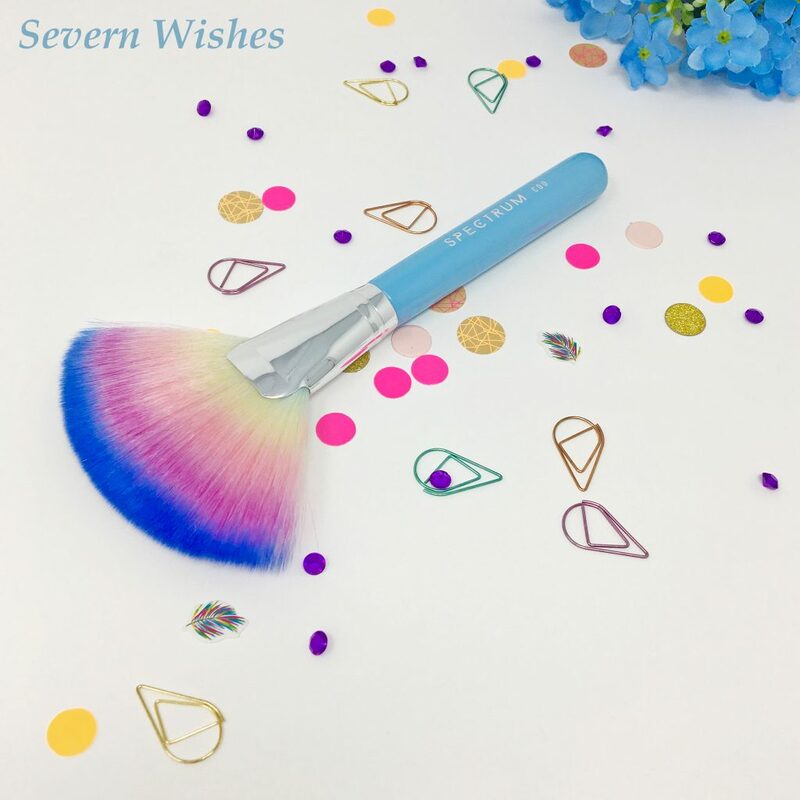 Designed for Contouring (hence the C in its name) this beautiful brush delicately allows highlighter or bronzer to applied to the face and body (such as collar bones). The brush has this rounded shape to ensure the application is both light and precise. 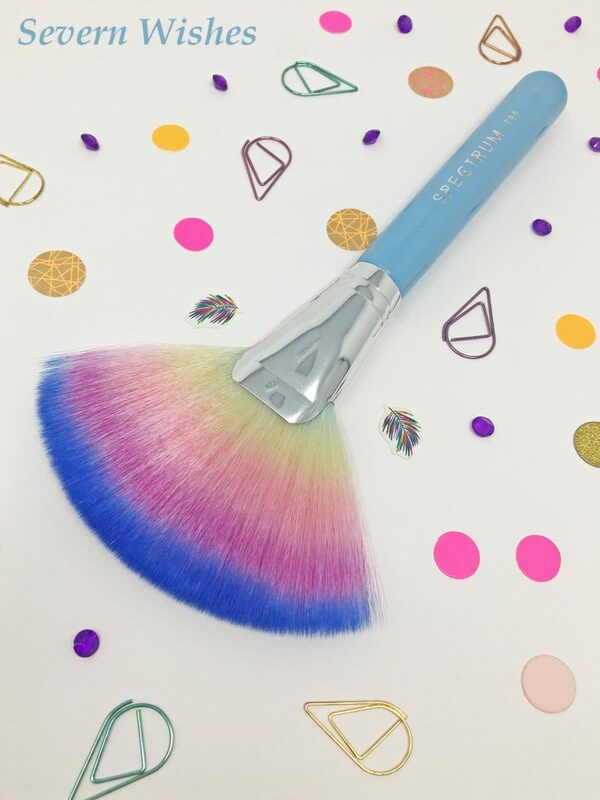 The stunning rainbow effect of the brush and its bristles means it really stands out for photographs. It’s bristles themselves are soft and thin. The handle is a lovely sky blue colour and has a silver ferrule. The brush came in its very own packet which is great for keeping it clean. Overall this brush is gorgeous and I’m happy I purchased it, although on its own I thought it was a little expensive. I guess you are paying for the quality though that is for sure! 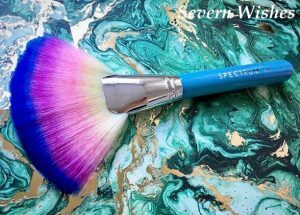 You can purchase this brush at the Spectrum Collections Website or at Boots stores and online. Here are the links for you. The ladies at Spectrum do an incredible job with their business and they’ve had a tough year too! I follow them all over social media and they are so passionate about the environment, making great products in the best way, and this is one reason why I love to support them. Keep up the awesome work! Thank you very much for reading this review today and I hope you liked the photographs. This entry was posted in Beauty, Fashion & Beauty, Makeup, Photography, Reviews, Spectrum Collections by Sabrina. Bookmark the permalink.